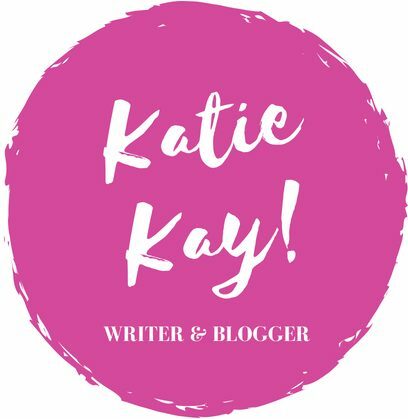 (no more) WASTED TIME – Katie Kay! This is going to be a little bit of a “venting” post, because I want to admit something to you guys. It’s not going to be Earth-shattering or panic-inducing, but it is something that you can probably relate to. So here we go: Do you ever feel like you blink, three months have whipped by, and you’ve wasted a HUGE chunk of time? Okay, I want to clarify: I do not feel as if I have completely wasted the past three months. I am a full-time college student, student pilot (LOL, one of these days I will finally have my license), and writer. On the social side, I hang out with a bunch of roaches (I promise, this is an endearing term) 24/7 and try not to pull out my hair due to the infuriating ways of other twentysomethings. But these things make me so happy, and I love flying and my ridiculous friends. That being said, there is a continent of me that has been underwater for the past few months. This part of me is like Atlantis waiting to be rediscovered, and I’m sick of drowning in something I’ve caused for myself. I’ve been writing less and less these past few months, and I can attribute it to multiple things. I knew that I wouldn’t be writing as much this semester, which contributed to my goal of finishing five novels over the summer, but I did not realize it would be this bad. In the past three months, I have started three novels, left all of them in the dust, and waited for magic to pull me up from the bottom of the ocean. However, that’s not how writing works. I truly believe good writing comes from stretching the writing muscle, and I’ve been atrophied for quite some time. It’s not that I don’t have material, because being away from home gives me tons of material, as you can imagine. It’s not that I don’t have the time, though my California life does get tiring. It’s not that I don’t want to do it, because writing makes me happiest (although it’s getting closer and closer to a tie with flying). So what have I been doing to myself? Isn’t it true that if you love something, you’ll do anything to be doing it? What’s wrong with me? Santiago, Chile (November 2017) I am happiest when I write. I also like being a weirdo in Chilean planetariums. Unfortunately, I do have to go to school, and this takes up considerable chunks of time. A bonus fact: I am in a creative writing class that claims the time I could use to write what I want to write, which feels pretty counterproductive. I love my friends to death, but it is a constant battle between wanting to hang out and be with them versus taking time for myself (AKA writing). This semester I have been pretty bad at remembering to swallow my introverted pill and catch a few hours to write and recover. This is the only school that matters to me right now. I am in full-blown study mode and since this is going to be my future career path, I know I need to focus more on this part of my life now. Therefore, some of my writing time will be snatched up by flying, but that’s okay. I just have to reorganize my priorities. The three attempts I’ve made over the three months have been varied: There is a psychological thriller, Southern Gothic drama, and cheesy romance. I think I’m struggling with what I want to write, because I’m not a genre-specific writer. You’ve got to be in the game to write, and even more committed if you want to write well. With normal life comes normal struggles, including bouts of stress and exhaustion, and this affects writing as well. What does this mean, you may be asking? Well, for me, it means getting the heck out of dodge. When I’m feeling suffocated, I grab my keys and hop in the car. A nice drive cleanses my mind, especially when I’ve got the windows down and the music on full-blast. Other methods include a nice jog or hike, a heart to heart with a friend, or brainstorming a story at a coffee shop. All right. We all know that there are extraverts (those who feed off social interaction) and introverts (those who need time to recover after a social experience) in society. There are even people who are ambiverts, a blend of both extraverts and introverts. I used to be very introverted, got more extraverted in college, and now consider myself to be an ambivert. There are moments I live off social interaction, but moments when I desperately need to be by myself. The cure is normally writing. But these past few months, my cure has been missing, and therefore I’ve felt really strange as a result. You have to take time for yourself, no matter where you are in life or who you are. When it comes down to it, we all have to live with, you guessed it, ourselves. It feels good sometimes to take a breath and a moment for yourself. In these moments, when I stop and let my mind ramble on and on, I gain some of my best plot ideas. Daily quota, where you at? If you’ve read some of my earlier writing posts, you know I am infatuated with the concept of the daily quota, in which a writer commits him or herself to a set word limit per day. It is a great way to rehearse the art of writing, even if you have no idea what you want to write about. While this worked for me in years past, it has been missing in my way of life for the past three months, so it’s time to reestablish THE DAILY QUOTA! Negative, convert to positive. Those terrible feelings that are bringing you down need to be cut out, and there are multiple ways to do this. Prayer works. Eliminating bad influences works. Trying new things works. It just depends on who you are and how you handle situations, and you know the toxic aspects of your life. Why have those toxic aspects when they only cause more problems in the long run? I know what mine is, and I’m going to try my hardest to rid myself of its influence. There has got to be a “stake in the ground moment” in which you are the one who knows what is happening versus what should be happening. This comes into all facets of life, whether that be with writing or relationships or choosing to cut out a Diet Coke addiction (yeah, right). Therefore, I’m going to say, “No more,” to not writing. I’m going to scream it from a mountaintop if I have to, because my happiness is improved ten-fold when I’m working on a project. Now let’s connect this to your life. What is the thing that you’ve been neglecting? Maybe it’s a person you haven’t been talking to. Maybe it’s a hobby you’ve forgotten. I’m sure if you think super hard you’ll be able to think of something. My request for you all is to think of this thing and work your hardest to mend the situation. You’ll know the solution if you can identify the problem. Nevada/California Border (August 2016) Describes how I feel when I’m writing. What a dork! Hello!!! first love thanks > for your lines > anyone can talk or write with, your mind is serve comes always from that what you think and feel what you can handle inside content processed or not, UMA trade by us us Schreibwerk, is the Pharaohs have done and we today have learned much from them by their writing, again it’s good Bacha do if man does not-can more! all the best for you! Thank you so much!!! You are always my #1 fan. 🙂 There is such wisdom in what you have said—our writing can last much longer than we do, and this should inspire us to put our full effort and energy into what we produce. Best wishes to you as well!! Please… It’s a 😉!!!! thank you! You’re always my #1 fan. 🙂 ES such wisdom is what you have said – can our write much longer than we, and this should inspire us, our place full of effort and energy in what we produce. a better society or tippes against sick souls or or we learn again and again! Best wishes to you too!